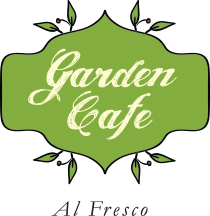 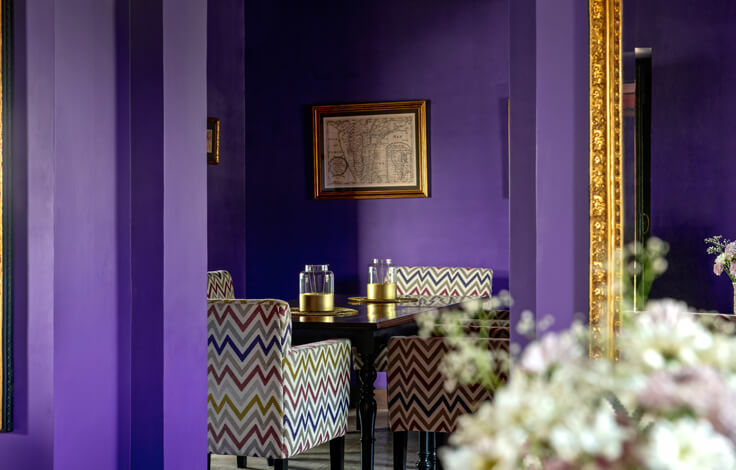 Enjoy a beautiful meal in a sophisticated and relaxed setting, a casual bite or a drink at the bar. 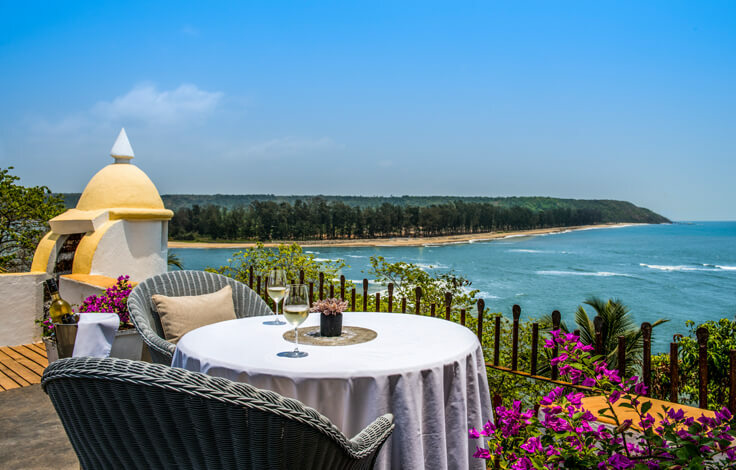 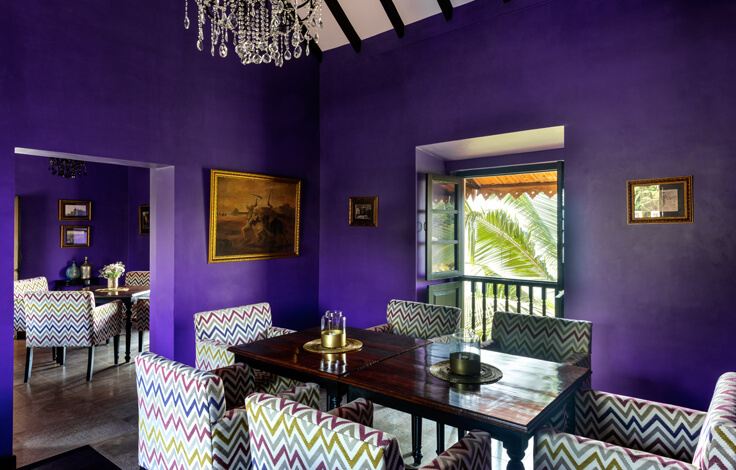 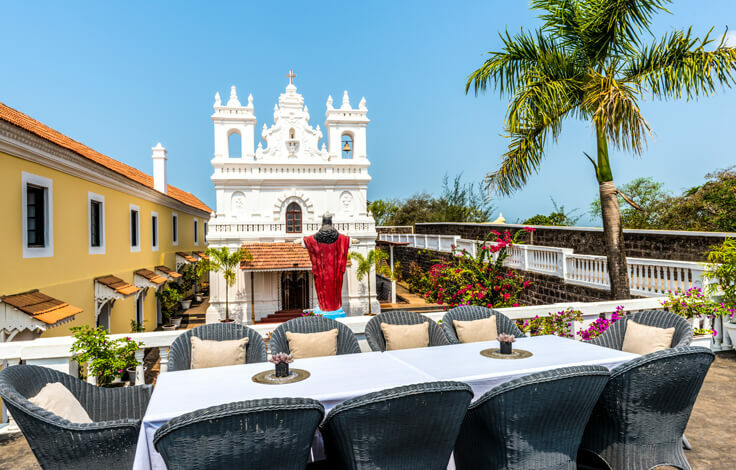 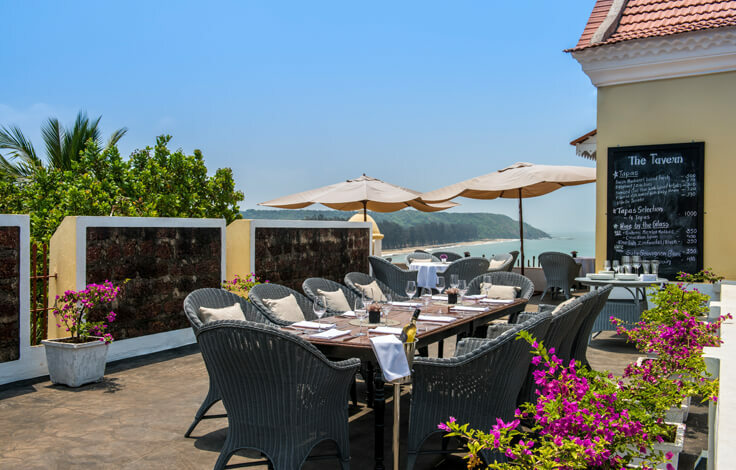 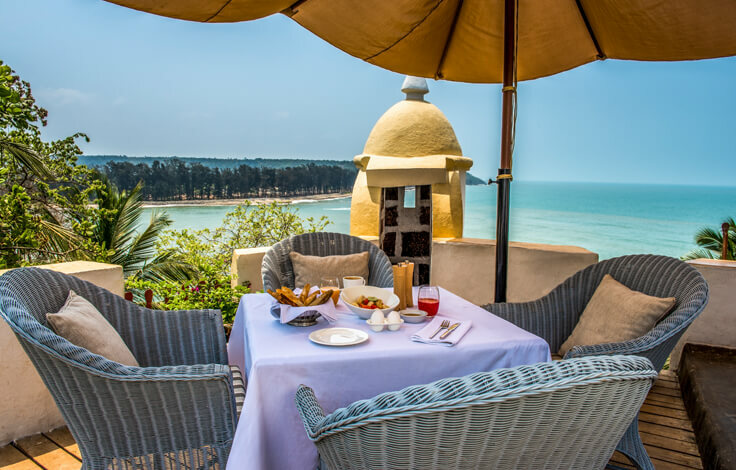 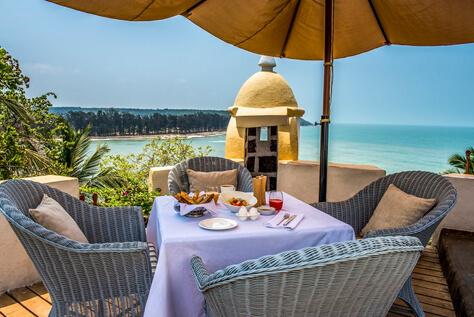 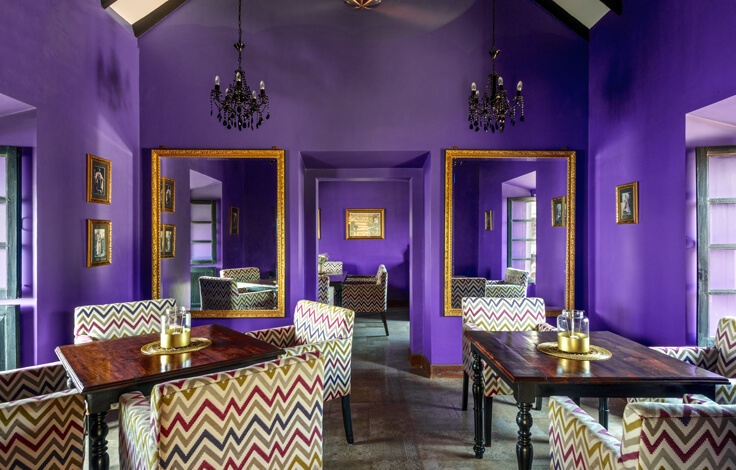 The Fort Tiracol “Tavern“ dining room, verandah and bar celebrates the warm, celebratory traditions of the old Portuguese taverns with a modern touch that fuses Portuguese, Goan and Indian flavors at one table. 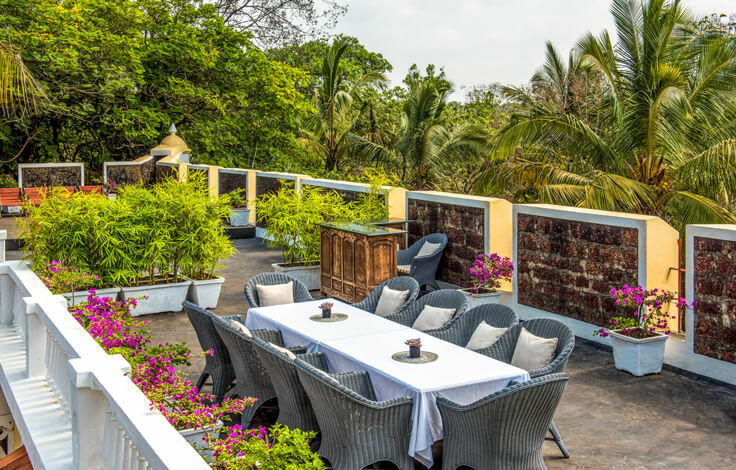 The signature menu, inspired and composed by Chris Saleem (Sublime, Morjim) is shaped by local, seasonal ingredients and contemporary flavours as well as traditional favorites and "petiscos" (Tapas/Snacks). 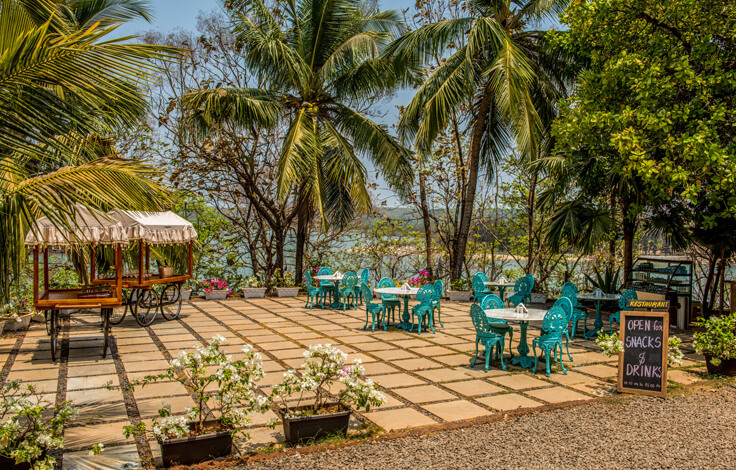 Note: We are tucked away in a remote location with a fabulous view but limited seating. 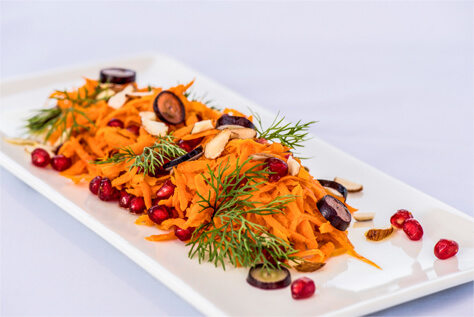 Our menu places emphasis on fresh local produce over diverse options so do look through to get an idea of our seasonal dishes. 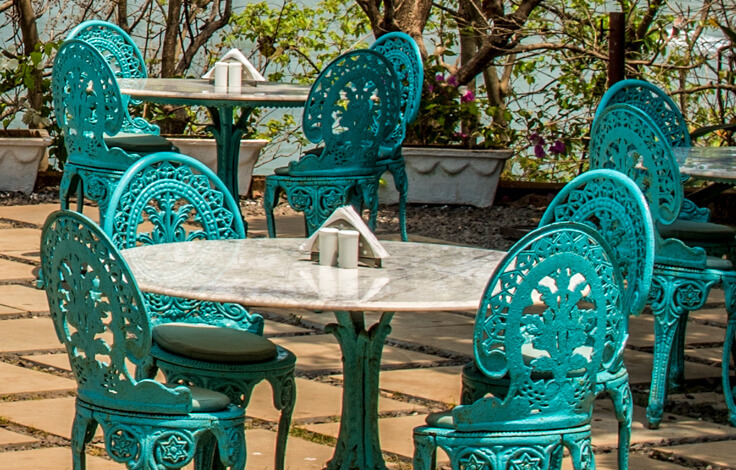 If you are a group of 4 or more, please book in advance to avoid disappointment or delay when placing orders.